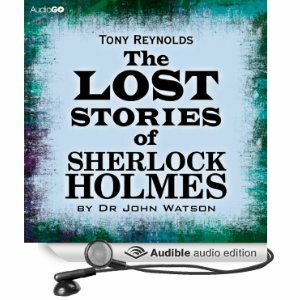 The Lost Stories of Sherlock Holmes now released in audio format. Also available in paperback - Amazon USA, Barnes and Noble, Amazon UK ,Waterstones. For elsewhere Book Depository who offer free delivery worldwide. In ebook format there is Amazon Kindle, Nook, Kobo Books and iBooks(iPad/iPhone).